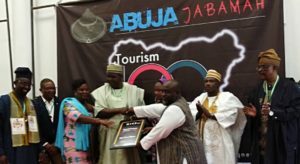 Ghana's tourism was given another positive boost when the city of Accra was named the 'M.I.C.E City of the Year' at the "M.I.C.E Awards West Africa" during the 6th Abuja Jabamah, a B2B - Business to Business - travel and tourism trade conference hosted at the Exhibition Hall of the International Conference Center in Abuja last Friday. An acronym for Meetings, Incentives, Conferences and Exhibitions - M.I.C.E - is an industry term for business tourism, and while focusing on this aspect of tourism does not reinvent the hospitality sector, it brings new thinking and packaging opportunities to boost stakeholder engagement in the tourism ambit. 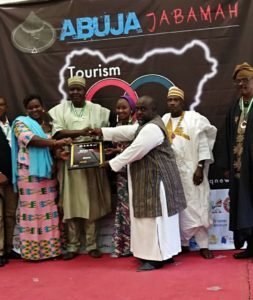 Expressing his delight on the recognition accorded to the city, Mr Dadson added that the aspiration for the development of M.I.C.E was "to build a West Africa wide experience for future event delegates, such that we can input into the itineraries of conference participants in one country, cultural immersions across the sub-region to making it a destination of choice." 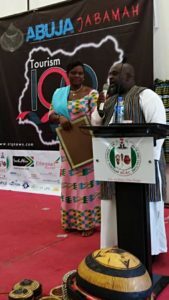 According to the global experts in association meetings, ICCA, Accra Ghana is the only city in the Top 10 in Africa, ranked number 9 in Africa, with Abidjan and Dakar following at 13 and 14 respectively. 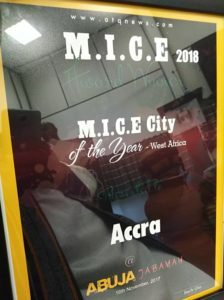 Johannesburg, South Africa and Kigali, Rwanda were ranked earlier, and with the successes witnessed by Rwanda, it is possible to leapfrog ones tourism position using the MICE vehicle. West Africa is yet to catch up. Accra's popularity is owing to the country's stability, and currently focused on establishing the Bureau as one of the strongest destination support services in Africa, Mr Dadson has the mandate to set up the GNCVB as a one-stop solution for information, guidance and assistance and also market the country abroad to attract more group tourism business.